There’s no better feeling than getting a surprise in the mail. And for coffee lovers, there’s no better feeling than getting your favorite coffee delivered straight to your doorstep. A weekly or monthly coffee subscription is a great way to bring some delight to your morning cup of coffee and help you expand your coffee palate. Plus, coffee subscriptions make great gifts – perfect for the coffee connoisseur in your life that already has everything. The coffee beans are freshly roasted and delivered fresh to your door. That means they’re vacuumed-sealed or protected in some way to lock in the flavor until they reach your doorstep. Your coffee subscription delivers you a variety of coffee, letting you sample different types of coffee roasts and regions of coffee beans. Your coffee subscription allows you to customize when it will be delivered to your door so you can make sure you never run low. You’ve probably heard of a lot of different companies offering monthly coffee subscriptions (or even weekly or bi-weekly). 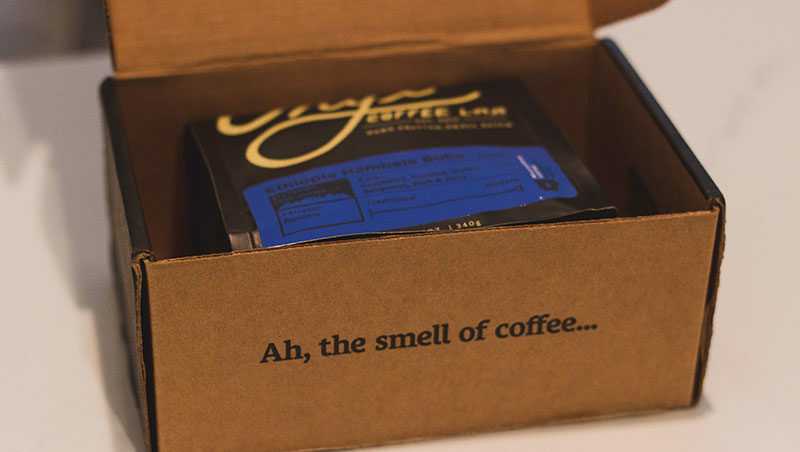 Many subscriptions let you try a sample of their coffee before you commit to regular delivery. And if you do end up subscribing, you can usually cancel at any time and modify the frequency of when they deliver your coffee. Thanks to the wonderful conveniences of online shopping, once you start regularly receiving your online coffee subscription, it’s hard to imagine life without coffee delivered instantly to your doorstep. So the challenge becomes selecting the right company and subscription that fits your tastes. Luckily, we put together a list of our favorite coffee subscription services that’ll be sure to help you spice up your daily coffee routine. NOTE: If you’re going to be high-quality coffee delivered to your door, you’ll want a high-quality automatic or manual burr grinder that’ll do justice to those fresh coffee beans. Focused on having the healthiest coffee possible, they have very strict standards. Lifeboost primarily provides single origin, certified organic, certified kosher, fair trade, shade grown til maturity, elevation grown, low acid (pH of 6… water is a pH of 7), hand picked, small batch roasted, NON GMO, specialty bean coffee. They also 3rd party test for mold/mycotoxins to ensure that they are well below the FDA standards. This puts them in the top 1% of coffee around the world. They are Patron sponsors of Rainforesttrust.org whose charity gives 100% of proceeds towards conservation of wildlife around the world. The downside is that this coffee is on the expensive side. High quality often comes with a price hike. But, their subscription does give the best pricing possible for this superb bean. Want to try it for yourself? Get 30% off with LifeBoost subscriptions compared to single orders. Click here to get started. 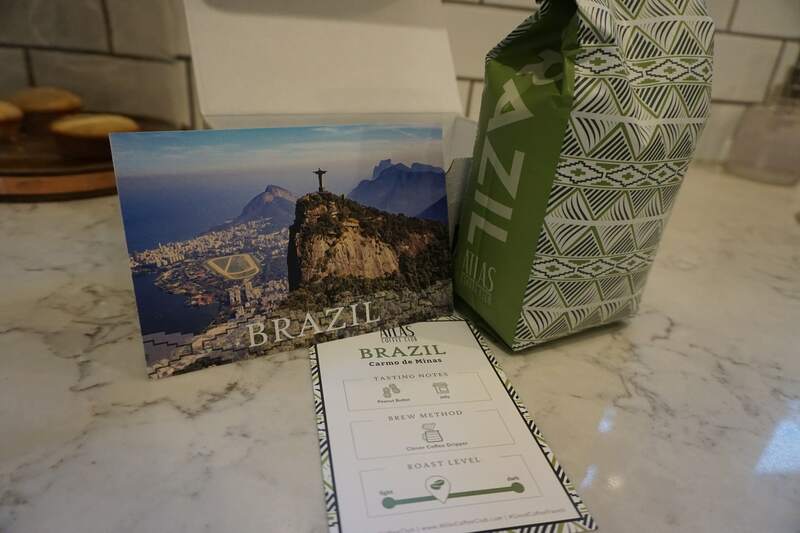 Above is a photo from the free sample box they sent us, and you can see that the bag of Brazilian coffee came with a fun postcard as well as a card explaining more about the beans and a suggested brewing method. By the way, if cool packaging and thoughtful presentation matter to you – Atlas Coffee Club nails it. Want to try it for yourself? Get 50% off your first box of Atlas Coffee and see for what you think. Click here to get started. If you love supporting small businesses, this is the roaster for you. Run by a husband and wife duo, Driftaway is all about accommodating your personal coffee tastes. The first time you order from Driftaway, you’ll receive four different samples delivered straight to your doorstep. After you try these samples and pick the one you like the best, you’ll start your regular subscription and the coffee of your choice will be delivered to your doorstep every two weeks. Justin Carabello runs his coffee operation out of Newport, KY, near my hometown of Cincinnati, OH. When I heard about their story of wanting to be philanthropic coffee roaster that gives back to the countries where they source beans, I wanted to learn more. Justin and his team making custom creations at the Analog Coffee Bar in their shop. I sat down in their amazing coffee shop and met Justin and his team, and decided to partner up with them on a different subscription plans. The beans are roasted in their shop and shipped straight to your door – and I can attest firsthand to how incredible the coffee is. 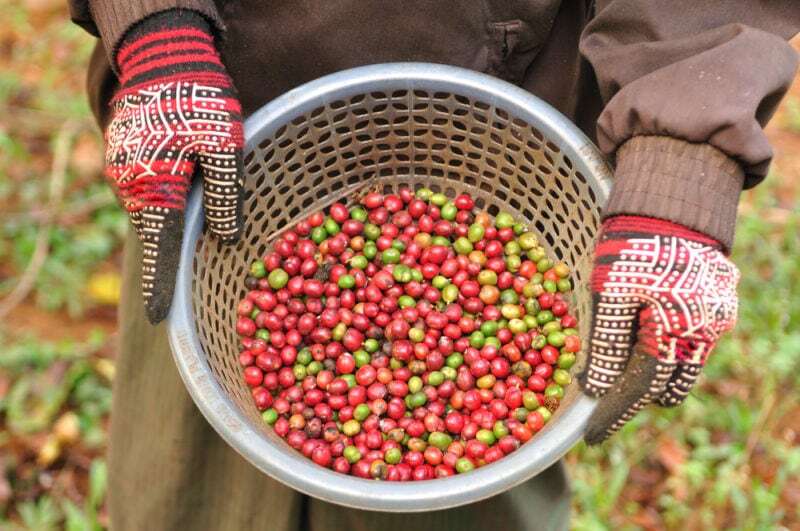 Click here to learn more about their story and try Carabello Coffee for yourself. Get One Month Free When you buy a full year of the Roasty Coffee of the Month Club and use coupon code “ROASTY” at checkout. Click here to check it out. Counter Culture was originally founded in 1995 and was one of the early leaders in the specialty coffee movement. Today, they focus on sustainability and quality and offer several different roasts that you can choose from. They have several different subscription plans available, but their most popular is the single-origin subscription, which gets you two 12 oz. bags of coffee with each shipment. With this coffee subscription you can have your coffee delivered to your door every one, two, three or four weeks. Based out of Portland, this well-renowned roaster offers a slightly different take from others on the coffee subscription. Every two weeks you’ll get a rotating selection of coffee. And you can always order more of whatever type of coffee you enjoyed the most. This is a great way to stock up your coffee supply while trying new coffees you might not have even considered before. If you want to expand your coffee-tasting horizons, this could be the coffee subscription for you. This famous roaster is trying to change the game of specialty coffee. 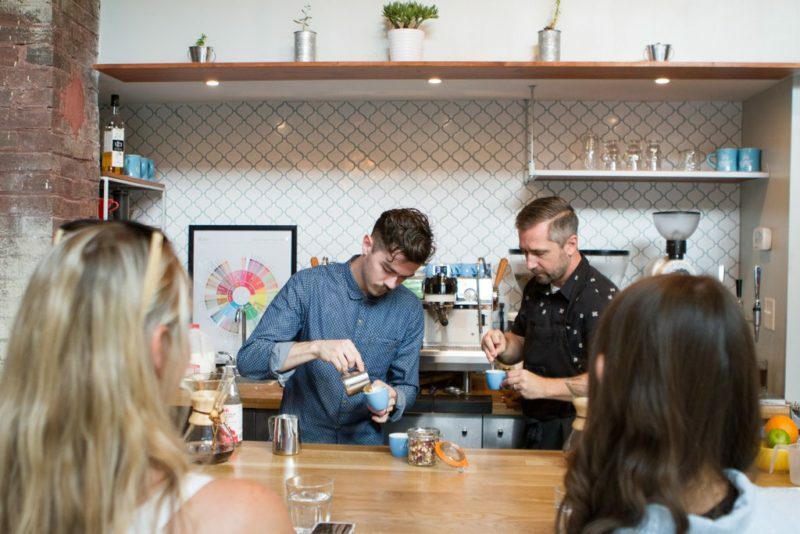 Blue Bottle is all about customization and gives you full control over your coffee choices. As a part of their subscription, you can choose what coffee you want and how much of it you want. You can select a half bag, single bag, double bag or even a triple bag and have it delivered every week, two weeks, three weeks, or once a month. If you want full control over what you get and how often you get it, Blue Bottle is the way to go. Click here to learn more about Blue Bottle subscriptions. Formerly a multi-roaster subscription, Moustache is now roasting everything in-house to maximize freshness. In fact, they go from beans in the roaster to a box in the mail within about 5 hours – which is pretty darn impressive. Another thing we like about Moustache is that they are working top-notch importers and sourcing over 70 different kinds of coffee so you could join the weekly plan and never get the same coffee twice in a year. That’s a sampler’s paradise! Try It For Free Simply click this link and then join the club, choosing the free trial option on the next page. If you want a sampling from multiple independent coffee roasters all at once, this is the coffee subscription for you. There are many small roasters that have popped up all over the country and many are too small to operate their own subscription service. So they’ve partnered with companies that offer coffee subscriptions and pull from this pool of smaller roasters. With a Multiple Roaster Coffee Subscription, you’ll often be able to choose from many different roasters and experiment with new, small-batch roasts. Like the Single Roaster option, most of these subscriptions will allow you to customize when you get the coffee and how much you get in each delivery. Trade Coffee prides themselves on matching you up with the best coffee for your preferences. They’ve matched over 2,000,000 people with the right coffee so far, so it’s safe to say they’ve got it down to a science. Simply click on the get matched button, then take a short survey about what you like and what you don’t and they’ll deliver fresh coffee to you every month. 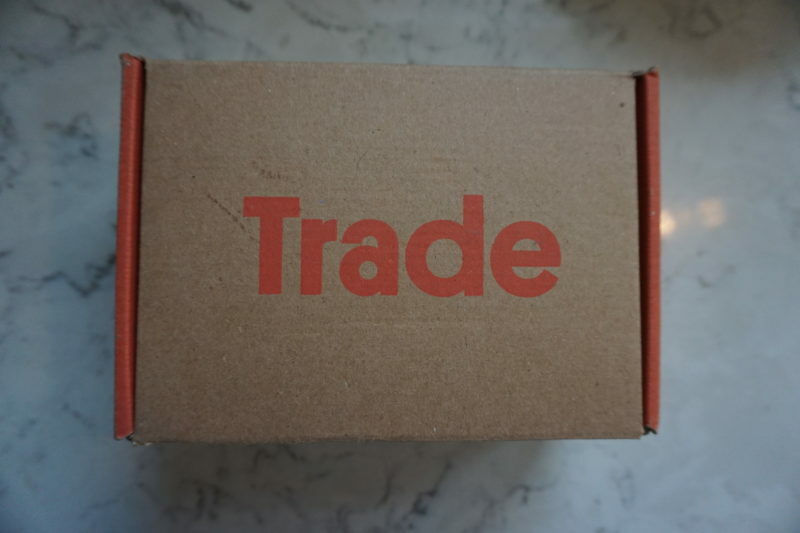 The folks at Trade sent me a couple free sample bags and the presentation and freshness of both coffees was excellent! Save 50% On Your First Month Simply click this link and then use promo code “ROASTY” at checkout. The only subscription service that will guarantee all your coffee comes from local roasters out of the Pacific Northwest, Bean Box ships solely from Seattle roasters. Bean Box will deliver four different coffees to your door from Seattle roasters each month. While not the most flexible of subscriptions out there, if you love Seattle coffee, this is the perfect coffee subscription to have. Out of all the coffee subscription services I’ve tried, these guys did it the best! Not only do they know how to source really great coffee from some of the best roasters, their packaging design was top-notch. As a designer myself, I was highly impressed. Their coffees are all single origin. It’s a signal that they truly care about great coffee by supporting the farmers who grow the beans and the roasters. Another bonus for me was based on nostalgia. I used to exclusively buy One Village Coffee in Philadelphia, but now I live in Boulder, Colorado. Crema has now made it possible for me to enjoy my favorite coffee from the east coast. I highly recommend them! A startup from Vermont, our friends at Brothers Coffee Company select a new roaster each month that has found a new and innovative way of facing a challenge the coffee industry faces. Not only will you get fresh, top-tier specialty coffee, you’ll also help enact real change around the world. Along with the coffee, subscribers receive information on the roasters, their coffee, and why they were selected for the month, making every month a new story. They also donate $1 per subscription to Grounds for Health, a non-profit that screens and treats women for cervical cancer. If you love coffee and want to make sure your money is being used well, Brothers Coffee is the subscription for you. Get 15% off your first month when you use coupon code “ROASTY” at checkout. If you want to try a variety of coffee that’s customized to your taste, you can’t go wrong with Craft Coffee. When you sign up, you’ll be asked how much coffee you drink at home, what type of coffee you drink and who your favorite roasters are. Based on these choices, you’ll be matched up three different roasters each month that will deliver their coffee to your door. Some roasters may be familiar to you, while others won’t. If you love to experiment and broaden your horizons, Craft Coffee is a great option. Use code 27k-vpl at checkout and get 15% off your first box. Click here to get started. Another great choice for anyone looking to experiment with coffee from different roasters, MistoBox offers a highly personalized subscription. When you sign up, you’ll be asked about your personal coffee preferences. Based on your answers, MistoBox will select a variety of coffee for you to try and send it to your door. How often you get new coffee is completely up to you, as you can customize every part of your subscription experience with them. How Do You Choose the Right Coffee Subscription? All of these coffee services give you plenty of choices and regularly deliver high-quality coffee to your door. While a coffee subscription may not completely replace your coffee supply, it’s a fantastic way to branch out and try new roasts and beans. And coffee subscriptions are a great way to supplement your supply so you never run out ever again. With all of these wonderful coffee subscription services to choose from, how exactly are you supposed to pick the best one? It all comes down to your personal preferences. If, for example, you know exactly what you like, then one of the more limited services may be right for you. But if you like to experiment, you may want to choose services that send you different coffee every month or have many different roasters to choose from. 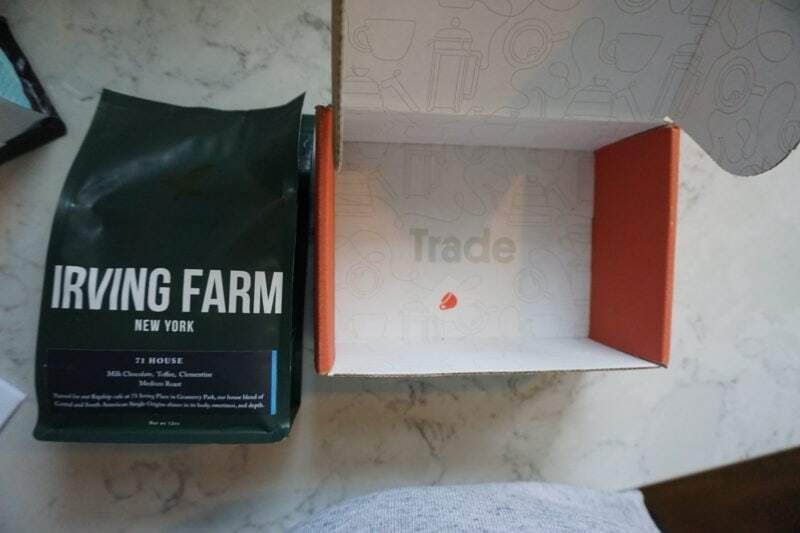 These subscription coffee services also have different price points and some charge for shipping while others ship for free. Depending on how much coffee you drink, you may want to do some quick calculations and come up with a coffee budget before choosing from the different services that are out there. In the end, in our opinion, it really comes down to taste. 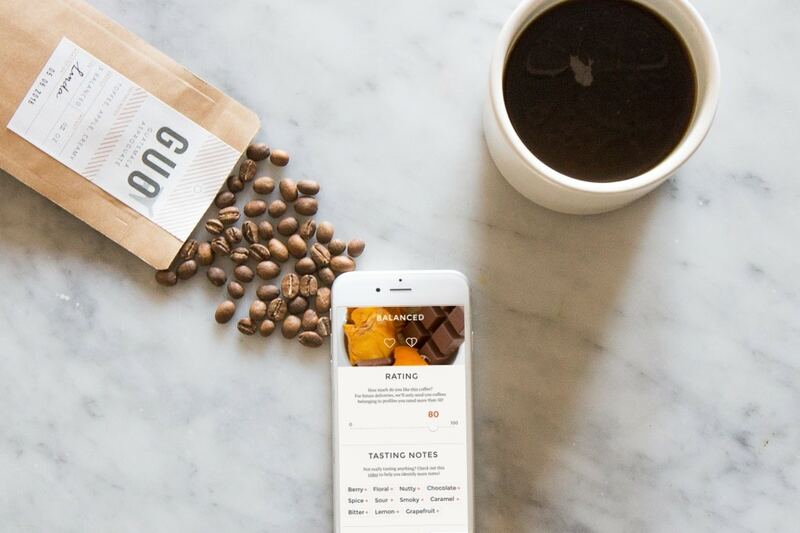 We love trying out different subscriptions while searching for good coffee. It’s easy enough to try a coffee subscription for a few months before and switching to a new company if you want to change things up. When you find one that you really like, settle in with them for the long haul and get ready to enjoy all that wonderful coffee goodness delivered straight to your door.